The 2011 I-70 clinic will be held Monday January 17, 2010, MLK day. Mark Johnson head coach, Sam Houston State University. 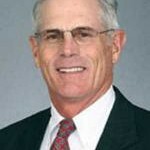 Cocah Johnson has a record of 1008-540-3 (.651) in 25 seasons of Division 1 college baseball. He’s coached his teams to three straight NCAA regionals (2007-09) and appeared in the College World Series twice in 1993 and 1999. 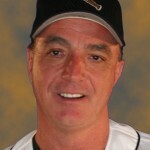 He was the first recipient of the ABCA “Ethics in Cocahing” Award in 2008. Fred Corral, associate head coach, pitching coach, University of Memphis. Coach Corral enters his 19th year as pitching coach at the collegiate level. 59 of his pitchers have been drafted by Major League Baseball and six have made it to the majors. Bill Findley, head groundskeeper, St. Louis Cardinals. 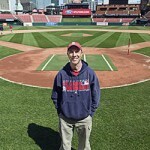 Findley has worked as the Cardinals groundskeeper with the Cardinals for fifteen years and been the head groundskeeper for five. His work has spanned two stadiums. Justin Fleener, head coach Teutopolis (IL) High School. 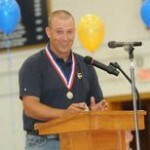 Cocah Fleener has led T-Town to six conference, eight regional, and five sectional championships. He also coached Teutopolis to the 2010 IHSA 2A state championship. Teutopolis has made three appearances in the IHSA state finals under his watch.